Restore you beautiful colour with Clairol Root Touch-up concealing powder. 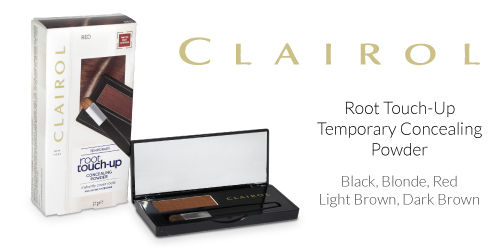 Clairol's low mess, multi use powder refreshers roots and defines eyebrows in seconds. Black, Red, Blonde, Light Brown, Dark Brown.